Okay! Musume Time: Mano Erina's Summer Date - 'Song for the DATE' Single Review! 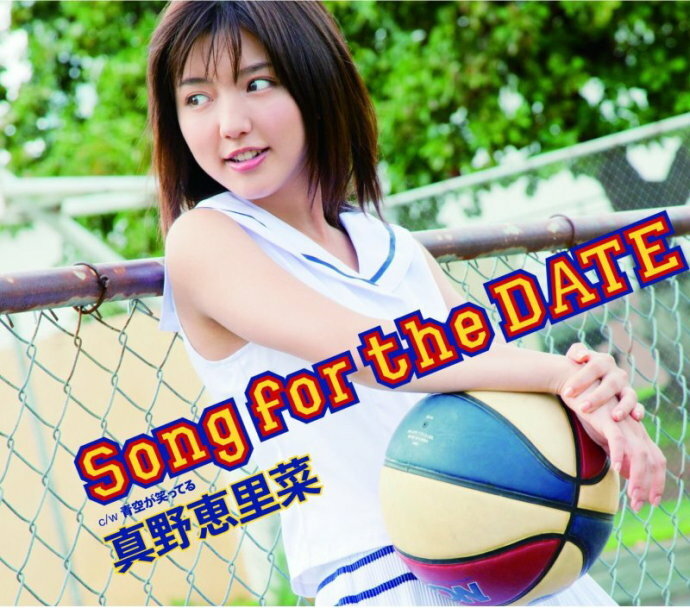 Mano Erina's Summer Date - 'Song for the DATE' Single Review! So, after waking up to a piece of sad and rather shocking news, I decided to go and listen to some Mano songs, only to realise that, hey, I never reviewed her latest single, the magnificent Song for the DATE. So guess what, people? Here it is, a review of Mano Erina's latest single - the one single I might actually buy at some point because I love it so much... The song which pretty much sums up Mano throwing away her Idol image, and telling us that she's maturing, that she's a new person. ... I won't cry, promise. That's reserved for when she does graduate. This single is the latest from Mano, and probably the most well recieved because of the amazing PV with an amazing budget which was pulled out for this song. With a strong A-side, I fell in love with Song for the DATE, and even my sister was impressed with Mano - my sister who really didn't like Mano until DokiDoki Baby/Tasogare Kousaten. Heck, even the non-fans were praising this video because it was so glorious, and really, who could blame them? But can the B-side match up to the A-side? Well, that's all down to personal opinion. So, here's mine! Let's roll on with the review! Mano Erina grew up - Song for the DATE is a mature, auto-tune peppered song which brings out the grown up side to Mano and shows off her vocal skills quite well, and is a song which I think brought a few new fans to her side, because really, it's a pretty good song. When this song came out, I was pretty dead set against auto-tune - I had just listened to One Two Three and hated it with all my might because of the sound, so I wasn't expecting to like Mano Erina's song as much, but because there isn't as much auto-tune, and paired with the fact that I heard the song the first time with the PV, I really liked the song. For the first time since becoming a fan of Mano, I had listened to a cool and mature song by her which was nothing like any of the other songs she had ever done, and seriously, I fell in love with the girl all over again and gained a new appreciation for her voice. The song is a strong one, I think - it really goes past 'Idol' music in a way and shows a new direction for Mano whilst showing off her more mature image which we hadn't really been able to see until My Days for You. Even though the song was a drastic change from her previous single, DokiDoki Baby/Tasogare Kousaten, the change was welcomed by the fans and also well received by others because of how drk and mature it was, and how different but captivating the tune is. It's definitely one of Mano's best songs because of how different it is, and I love how she changed from sweet and innocent to dark, mysterious and mature. I love this song, and I think a lot of other people do too - and it has an incredible PV to pair with, so of course, the song has to fit the absolute wonder of the video! The B-side to Mano Erina's 12th major single is ozora ga Waratteru, and is more of a peppy summer song than the A-side is. It's up-beat and lively, and extremely happy like many of Mano's other songs from previous singles. It's the polar opposite of the cool and mature Song for the DATE because of the playful and energetic tune, as well as the happy tone to Mano's voice. Personally, I really like this song - I love how Mano sounds really happy, and I like the fun and loud sound it has. It's really fun and reminds me of a playful summer where you will spend your time with your friends and probably have water fights or just run around together. There is so much happiness bursting from this song, it's incredible. I'm glad that a happy song was used as the B-side, as it shows how Mano can easily change from a serious and cool type to a bubbly and fun singer whilst still keeping the single strong itself and delivering a stellar performance for her fans. It's a nice strong summer song, and really fun. I would have loved to see a PV coupled with the song to see what UFA would have done, but with every B-side, I generally leave it up to my imagination, and right now, I'm having fun watching Mano have a water fight with some randomer and sunbathing. From the serious, edgy tone of Song for the DATE to the up-beat and energetic Aozora ga Waratteru, I think that this single is a pretty strong one. Once again, it's up to personal opinion for everyone, but I like this single. Mano sounds strong on both tracks and really brought a great performance. I loved experiencing her serious side before returning to her fun and eager sound that we all know so well, and the single is pleasant to listen to. A summer single which is both dark and fun, this is a great release from Mano Erina, and really shows us all that she can pull off different images and that she can fit different songs. Personally, I am anticipating her next release, whether it is her penultimate release or her last, and I honestly hope that we get to see more of the serious and cool Mano, because when she brings it, she really brings it! What are your thoughts on this single?